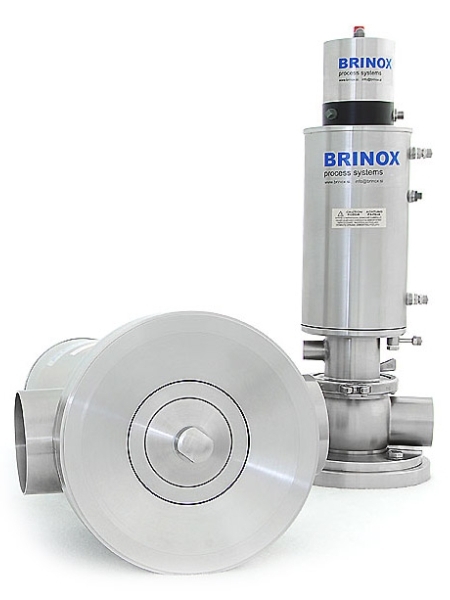 We provide a wide range of own Brinox valves. We are specialised in hygienic building that ensures a 100% sealing at the simultaneous flow of different media through the valve. 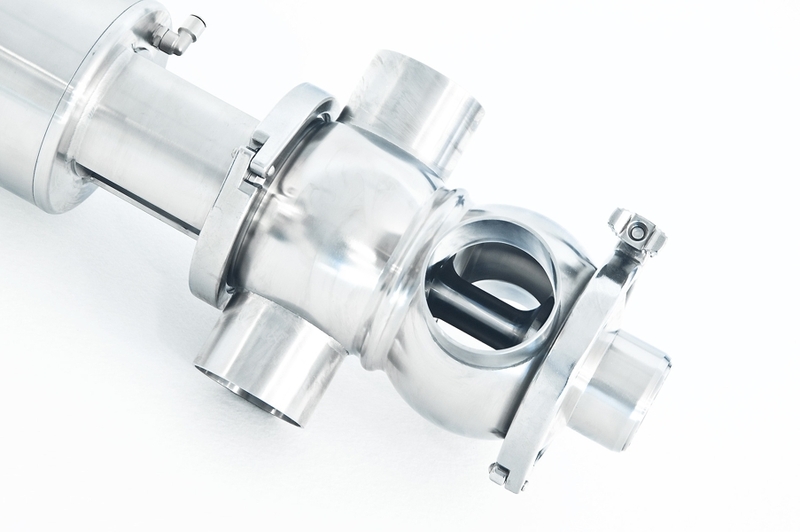 For the DVEH double-seat valve intended for use in dairies, breweries and other food processing plants we have obtained the required EHEDG certificate. 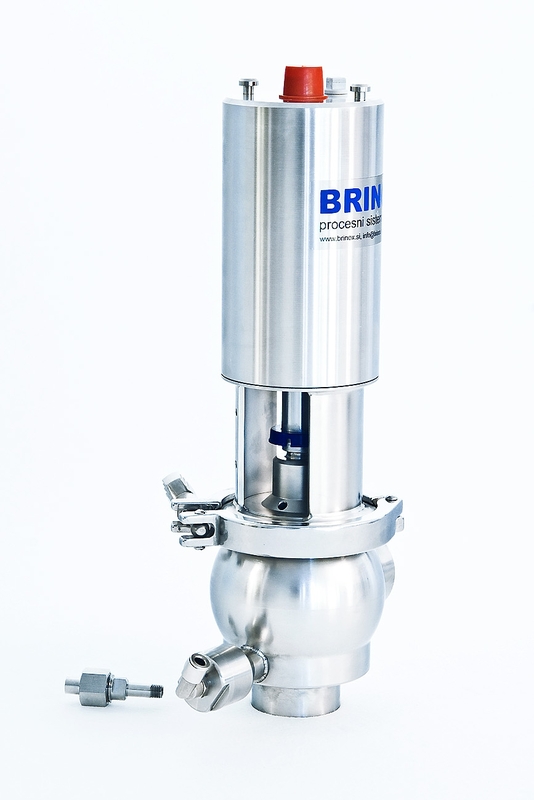 The Brinox hygienic double-seat mixproof valve type DVEH is intended for use in dairies, breweries and other food processing plants. The double-seat hygienic construction ensures a 100 % sealing at the simultaneous flow of different media through the valve. The valve is installed as a manifold valve in the valve block where the input and output paths cross. The construction of the valves allows safe washing and product flow through the other part of the valve. As standard, the rod of the lower valve seat is built as a pressure compensator that prevents the valve from opening into leakage in case of pressure surges. The build of the valve allows for an easy removal from the valve manifold and ensures easy maintenance and servicing. The double-seat hygienic construction allows for 100% sealing with control leakage in a safe washing of the pipeline under the vessel even with product in the vessel. The DVTH double-seat floor valve has a modular design and is at the same time robust enough, with easy maintenance. The valve construction allows an efficient washing of all parts in contact with the medium. The valve is constructed in line with cGMP and FDA standards. A version with the integrated position integration is possible too. 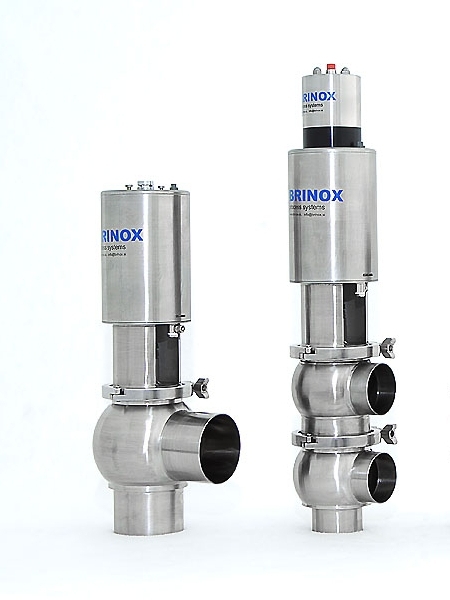 The hygienic double-sealing valve provides protection from an unplanned mixing of liquids, due to a protective leakage with atmospheric outlet between both sealing elements. The valve is reliable and easy to maintain. It is typically used for water and CIP media inlets into the technological pipeline. The hygiene valve series PDV represents the basic equipment level for automatically controlled systems. The valves are extremely reliable and easy to maintain. They are available in several builds and sizes.